The most unlikely events can lead to a serious blow to your business' reputation. Why wait for that happen? With "Rethinking Reputational Risk: How to Manage the Risks that can Ruin Your Business, Your Reputation and You", you can get the keys to bypassing assumptions and excuses to develop a risk-managing environment that stops failures before they turn into an uncontrollable media and public relations circus. Rethinking Reputational Risk: How to Manage the Risks that can Ruin Your Business, Your Reputation and You offers a new perspective on the idea of “reputation management”. If you are in business, you have a reputation. There are plenty of books that can tell you how to improve that reputation but this book takes a different tack. It focuses on the implications on your reputation when an organizational mistake turns into a full-out public relations crisis. What is Rethinking Reputational Risk About? There are two big ideas in Rethinking Reputational Risk. The first big idea is that PR crises are not as unpredictable as you might think. The second is that most businesses don’t know how to adequately prepare for a future PR crisis in the first place. Their book argues that PR crises aren’t some random event, they usually happen because an organization fails to understand the implications of a crisis on their reputation. Looking back at the first big idea (PR crises are not totally unpredictable), the book contends that the problem isn’t the mistake (like the accident, the scandal, etc.) that happened, it’s what your organization does after that mistake happens that is the problem. When a business has a failure, that organization must ensure stakeholders are informed and treated with respect. Otherwise, they may face more than potential lawsuits and bad press. They may face damage to their reputations. As a business owner, your reputation is one of the strongest non-physical assets that you have. 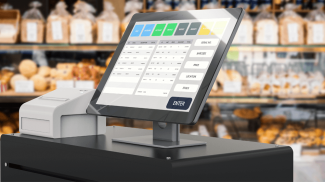 Without it, you lose customers and possibly your business. Looking at the second theme (most businesses don’t prepare well for a crisis), the way out of this problem is to address any mistakes or issues before they become a crisis. When a situation happens, don’t stay content to blame someone and move on. Keep asking why until you gain insight into the accident, failure or mistake. Make sure your leadership is involved in asking the uncomfortable questions and remains proactive. Also, test your assumptions about your crisis management. Are you preparing or just going through the motions? Taking time to understand how your organization deals with failures now is the key to stopping them from turning into an organizational crisis. The book is the work of Anthony Fitzsimmons, an author, speaker and expert in risk management and law who founded Reputability, LLP, a UK company dedicated to helping boards minimize risk and business owners develop resiliency after a PR crisis. Fitzsimmons serves as Chairman of Reputability, LLP. Co-author Derek Atkins is a college professor of risk management and insurance and employee at Reputability, LLP. He co-authored another book with Fitzsimmons in addition to this one. Atkins has served on many public and private boards, earning an Exceptional Service Medal of the Chartered Insurance Institute in addition to other awards. What Was Best About Rethinking Reputational Risk? 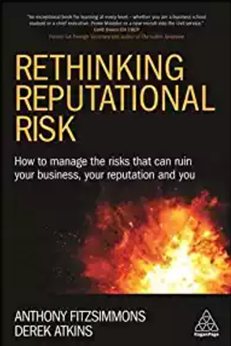 The best part of Rethinking Reputational Risk is the way this book focuses on re-evaluating much of what businesses thought they were supposed to be doing. Many business owners, blinded by overconfidence, believe their business can weather a crisis without serious damage to their reputation. This book disagrees and explains why. Many business owners believe they are adequately prepared to deal with a crisis (PR or otherwise), this book disagrees and explains why. Rethinking Reputational Risk explains why leaders fail to take proactive steps to prevent organizational crises. 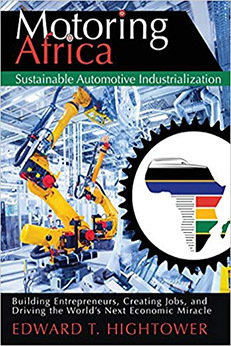 The book then walks through some of the biggest crises of our times and provides lessons demonstrating how they would have addressed that crisis. Rethinking Reputational Risk provides a lot of wise and powerful advice for business owners and board members of a business. The problem is the advice is separated. One potential approach that the book could have taken was to explain content while demonstrating how this worked (or did not work). This would have created a stronger case study instead of having readers wait until the end of the book for these. Why Read Rethinking Reputational Risk? Rethinking Reputational Risk is an important read for business owners or leaders, PR/marketing staff, risk management professionals and auditors. The book challenges the perception that risk management is only financial. Instead, it contends that risk management is a business-wide issue that requires learning, reflection, and a straightforward plan of action. 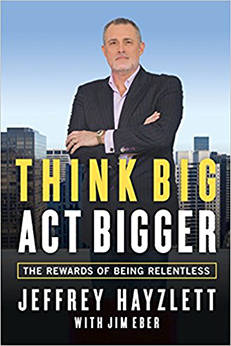 For business leaders and anyone involved with a business’ reputation, this book provides a challenge to your assumptions and a perspective shift to help you take risk management just as seriously as you take everything else in business. They always say that there’s no such thing as bad PR. Well, there is and it can hurt your business.